This is the genuine Carlsson Swedish Bass Rosin known for its fine quality by jazz and classical players around the world. 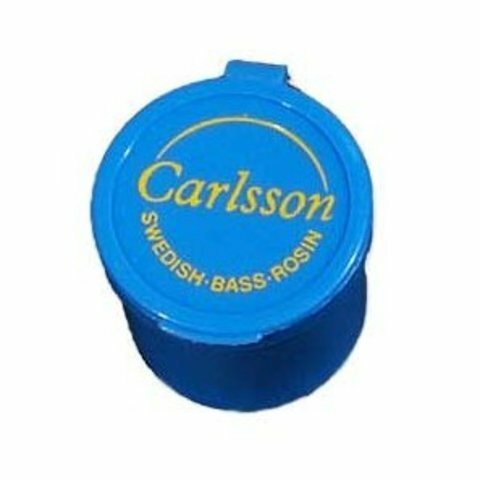 This is the genuine Carlsson Swedish Bass Rosin known for its fine quality by jazz and classical players around the world. Available in medium grade, foil wrapped with the Carlsson seal on the bottom, packaged in a blue cup with attached hinged lid.